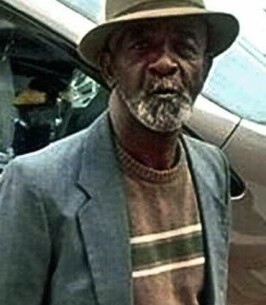 Mr. Edward James Bivens – AKA Eddie or Bivens (better known by family & friends) died suddenly September 20, 2018, at his home following a lengthy illness. Eddie was born in Pocomoke City, Maryland on October 15, 1956. He was the loving son of Juanita Bivens Cropper of Wilmington, Delaware, and was preceded in death by his father, Preston James Bivens; brother, Navie Lee Rowley, III; niece, Tomickiea Mills and his nephew Michael Deputy. Eddie was a hard worker all of his life and worked for various contractors in the State of Delaware until his health began to fail. In the midst of our grief we are reminded of his strength of character, kind demeanor, friendships to many, patience but most of all his faith in our Lord Jesus Christ. Eddie started his education in Pocomoke City, Maryland and graduated from Washington High school in Princess Ann, Maryland. It was during his junior/senior high schools days that his love of sports was first kindled. He was a member of the soccer & softball team but if any of you know Eddie his heart was in the game of softball. During his younger days you could find Eddie on many softball fields in and around the state of Delaware. After long games Eddie would wind down with his family and friends with a cold beer, music and dancing which he loved. Eddie was all about family and spending as much time with family as he could. He loved the time spent with his grandchildren and his only son, Dalasini. His love for both family and friends was never in short supply. His life will be cherished by his beloved son, Dalasini Foster; daughter-in-law, Shonda; five sisters, Joyce Starling and Penny Fields of Wilmington, Delaware, Dorothy and Janet Bivens of New Castle, Delaware and Laura Kamerdze of Morgantown, Pennsylvania; three brothers, Michael Bivens of Pleasantville, New Jersey, Arthur Hitch of New Castle, Delaware and Gregory Hitch of Wilmington, Delaware; sister-in-laws, Dawn Bivens, Melissa Hitch, and Vanessa Thorpe; one brother-in-law, Joseph Kamerdze, Jr.; two aunts, Elizabeth Marshall of Pocomoke, Maryland and Lottie Mae Rolley of Stratford, Connecticut; five grandchildren, Jasmine, Ayreon, Amayha, De`Nijah, and De`Syah; one great-grandson, Shaphee; thirteen nieces, Teresa, Schnelle, Rochelle, LaShannon, Jocelyn, April, Nephaterie, Nashyia, Tamara, Diamond, LaShay, Olishia, Aminah; sixteen nephews, Shamus, Tyree, Kenwuan, Rashad, Terron, Prays, Navie IV, Elhajj, Devin H., Devin S., David, Jared, Dakota, Elijah, Messiah, Lopaka; friends for a lifetime, Beaver, Able, Tracey & George and many friends and additional family too numerous to mention. To send flowers to the family of Edward J. Bivens, please visit our Heartfelt Sympathies Store. We encourage you to share any memorable photos or stories about Edward J.. All tributes placed on and purchased through this memorial website will remain on in perpetuity for future generations. Prayers to the Bivins family and friends. As a member of the Summer Madness softball organization. We were like family and lasting friends. Rest peaceful my friend. My condolences to the family for the loss of your love one. My heart cries with you he was a dear and close friend of mine just like family.